In her recent piece Not All Stories Are Created Equal, Hotwire CEO Barbara Bates outlines succinctly the difference between omnichannel and multichannel communications through the lens of storytelling - are you writing the chapters of a book (one cohesive story) or a collection of short stories? This is only one of the decision you have to make as you are thinking about how to talk to your audience. And it's an easy one compared to getting down to business and actually creating the stories you want to tell. That is indeed hard and takes discipline. 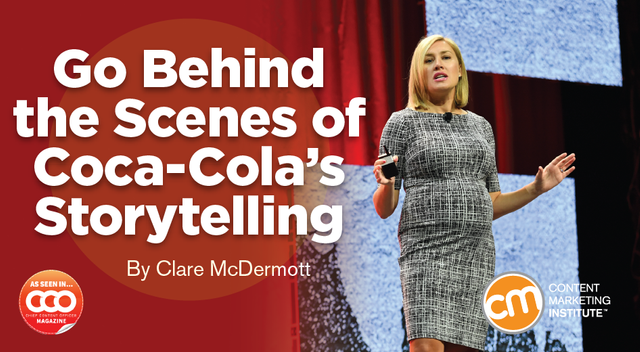 Kate Santore, Coca-Cola's senior integrated marketing content manager, outlines the brand's approach and philosophy to storytelling, and if you ask yourself these key questions as you embark on the journey you'll be on the right path. Am I creating my brand stories or stories by my brand? Is my brand a character in the story with a role to play? Does the story have relevance today and tomorrow? Do I want to write short stories or an entire book? Lastly, no matter the approach, are my brand stories liquid and linked over time? Storytelling has always been a social activity so don't try to create stories in isolation, bring creators and audience together to unfold the narrative of your brand story. And the questions will light the way. We must balance managing today while inventing tomorrow, constantly weighing what our brands stand for against the current conversation to see how/if we can add value to the narrative.